Dreams were beginning to awaken. In response to these awakening dreams, Magicians Without Borders established a Scholarship Fund for the young magicians to complete High School and go on to post-secondary education. Wendy has now completed a five year Nursing School Program, Jaime has studied for two years in one of the finest computer schools in El Salvador, Peter and Maricela are now in Culinary School. There are many others who have finished High School and are now working to make dreams come true. Magic has taught these children not only how to do sleight of hand and present an entertaining and inspiring magic show. Learning magic has enabled them to increase their sense of self-confidence and self esteem, to develop skills like discipline, focus, personal power and presence. 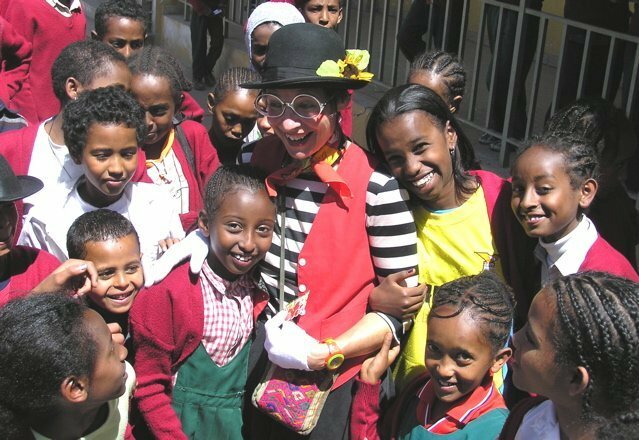 It is unlikely that these children will make a living as full time performing magicians. However, the skills and personal qualities they have developed studying magic will serve them well to imagine and create lives that will lead them and their families out of the devastating poverty they have been born into. They have been empowered. Members of our first generation of Salvadoran magicians created an organization, Magic Power. Magic Power recruits and trains magicians from the same marketplace where MS 13, thought to be the most brutal gang in the world, recruits kids for the gang. Magic Power thinks of themselves as a magic gang, creating an alternative to the gangs that infest and control much of the city of Santa Ana. Magic Power has received a grant from the international foundation, Ashoka (Asoka.org) to do this amazing work. 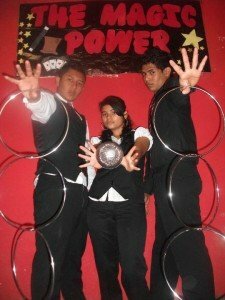 Interestingly, the young magicians we are training in Mumbai India began a magic organization and called it “Jadui Shakti,” which also means, “Magic Power” in Hindi. There is something about being magicians that gives these young people a deep sense of personal power. This comes at a time in their lives when this is exactly what they need to discover and create for them selves. Magic is helping them do this. These young magicians have been empowered; they have begun to imagine themselves in ways that were not possible before they started to study magic. Perhaps magic in some marvelous ways awakens the hope that “the impossible is possible,” magic awakens dreams. These wonderful young magicians, with support and guidance from Magicians Without Borders, are now doing the hard work to make these dreams come true.